The Ph.D. in community engagement is a unique social lab designed for working professionals who want to improve their effectiveness as leaders while gaining a broad understanding of public policy, program development, community psychology and best practices in leadership and engagement. The community engagement program prepares leaders for outreach and partnership work in civic, business and community organizations. Students who attend full time (two courses per term) can expect to complete the program's coursework in two years, followed by dissertation. Courses are offered during three terms a year: fall, spring and summer. 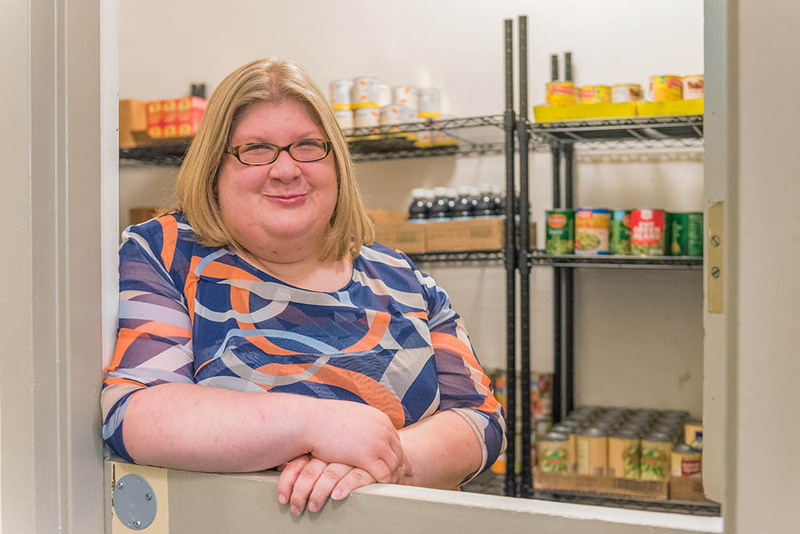 Veronika Panagiotou, Ph.D., is the driving force behind Point Park University's Pioneer Pantry, which provides supplemental food free to those in in need. Block 4: Dissertation core (15 credit hours). * With its already affordable cost, the Ph.D. program is not eligible for tuition discount programs. Gain a broad understanding of public policy, program development, community psychology and best practices in leadership and engagement. Be prepared to conduct research and build partnerships with civic, business and community organizations. In this unique social lab, engage with communities as part of the coursework. Work with the Luma Institute, using human-centered design thinking for the greater good. Be part of a small student cohort from diverse sectors. Explore sociological, business, communication and environmental factors that contribute to a community’s success. Demonstrate the ability to apply ethical leadership principles to community-based issues. Demonstrate the ability to utilize public policy to bring about social change. Develop and evaluate programs for use in business, government or nonprofit sectors. Explore the psychological and sociological factors that impact communities. Utilize theory and research to guide community change and progress. Take a look at our three-year program schedule. Courses in the Ph.D. program run year-round and are divided into eight-week sessions. Students will typically take one course each eight weeks, earning you 18 credits per year for a total of 54 credits. Most courses are offered in the evening, allowing working professionals to balance family, personal and career commitments while finishing all required courses - as well as a dissertation - in three to four years, depending on timing of dissertation work. Residency is met by completing three consecutive semesters of study in the program with a minimum of six hours of course work per semester. Summer, fall and spring semesters are counted toward residency. Learn from faculty with a range of scholarly expertise and leadership abilities in this interdisciplinary program. 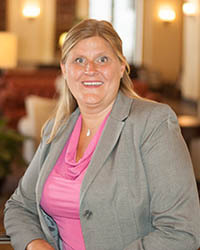 Individuals in leadership positions, in particular nonprofit leaders, social change activists and people involved in the national service-learning movement. View the Ph.D. in community engagement flier for more details about the program.